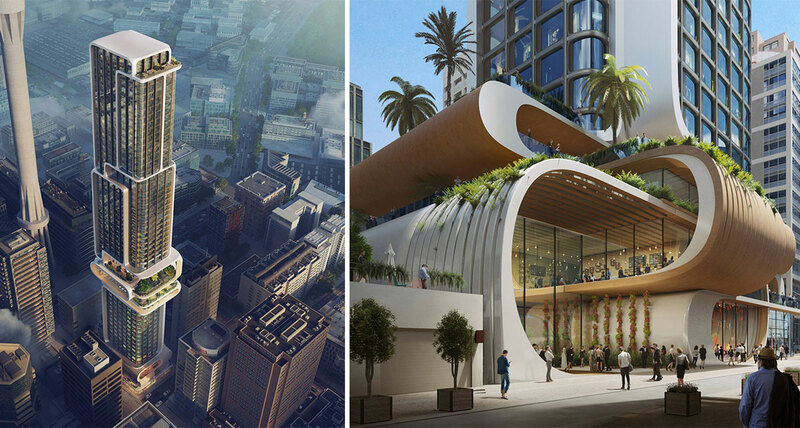 Five architects have unveiled their designs for a new $300 million tower in Auckland’s CBD. The design teams vying for the multimillion-dollar project include Warren and Mahoney, Zaha Hadid, Cox Architecture, Elenberg Fraser and Woods Bagot. The multi-storey hotel and apartment project marks the first international project for Melbourne-based developer ICD Property after securing the site from Skycity Entertainment Group in May for $40 million. 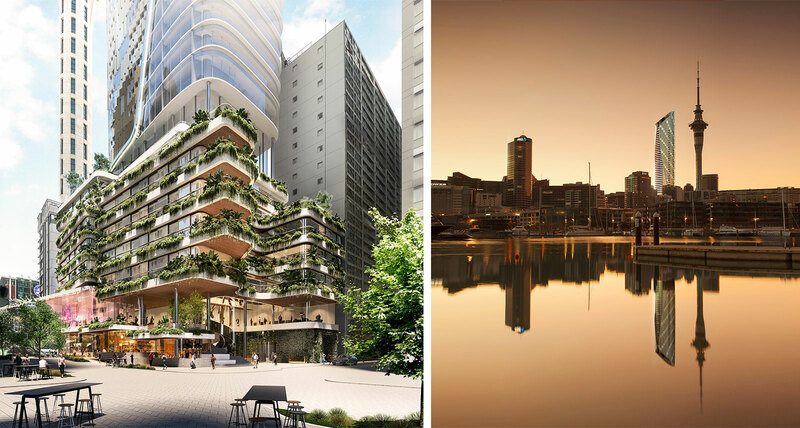 Among the designs for the 65 Federal Street site, near Auckland’s Sky Tower, is a building comprising a sky garden representing the Auckland landscape, through to a local design inspired by a Māori cloak. 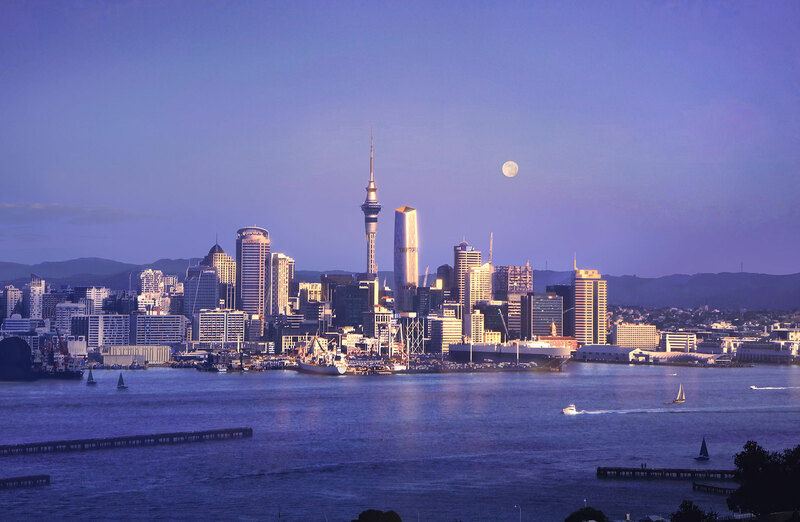 ICD said it hoped to deliver an international standard of high-rise living to Auckland as well as contributing to the city’s future growth and development. “The city has many positive and unique aspects – from its multicultural make up through to the stunning scenery and landscape,” ICD managing director Michael Mai said. Warren and Mahoney’s entry is inspired by a Maori korowai (cloak), which can be seen in the building’s cascading exterior. Principal Andrew Barclay believes the project is an opportunity to create a building that reflects Auckland’s unique population, cultural diversity and geography. "The project is located in one of Auckland’s most exciting locations, so it has a responsibility to contribute to Auckland’s increasingly vibrant inner-city life,” Barclay said. The 50-storey tower will stand 213 metres high and comprise 254 apartments and 151 hotel rooms. "The time is right for projects within the central city to speak directly about Auckland’s unique people, culture and geography. The scale of the project means that identity can be expressed both at the ground plane and at the skyline." 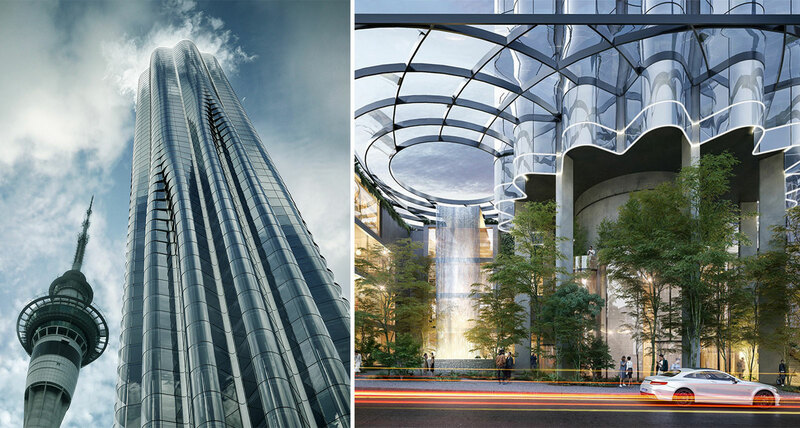 London firm Zaha Hadid's design was inspired by bringing the city’s streetscape into the heart of the 52-storey tower with a sky garden. The design proposes a 190-metre-tall tower comprising 178 apartments and 140 hotel rooms. The firm's Michele Pasca di Magliano says Auckland has the opportunity to re-engage with its architecture and enhance its own unique urbanism through the process. Elenberg Fraser's design starts almost 25 metres above the ground and rises through hotel and apartments to almost 210 metres. A destination restaurant sits atop the 65-level building. Elenberg Fraser's Callum Fraser believes this project is delivering to Auckland an environment worthy of the city’s position as a leading global tourism destination. "The world looks to New Zealand for its freedom, ingenuity and independence of thought," Fraser said. Cox Architecture's Phil Rowe says the challenge posed by ICD’s Auckland project was to address how architects and designers can improve and inspire the future of the city. The 54-level tower will comprise 268 apartments and 124 hotel rooms. "The building will be a visual icon for what Auckland can and will look like in the future,” Rowe said. 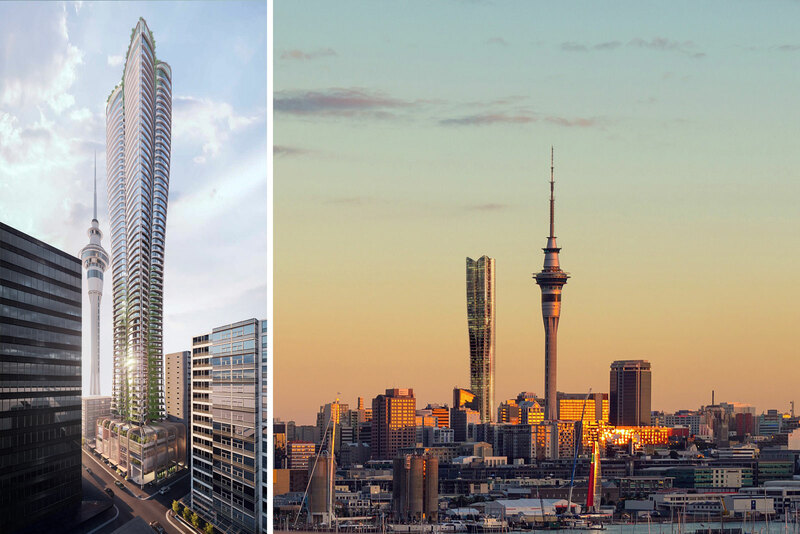 The Woods Bagot-design proposes a 48-storey tower that will soar 180 metres into Auckland's skyline, comprising 226 residential apartments and 233 hotel rooms. Woods Bagot principal Pete Miglis says the project will transform the area with a focus on giving the streets back to the people. 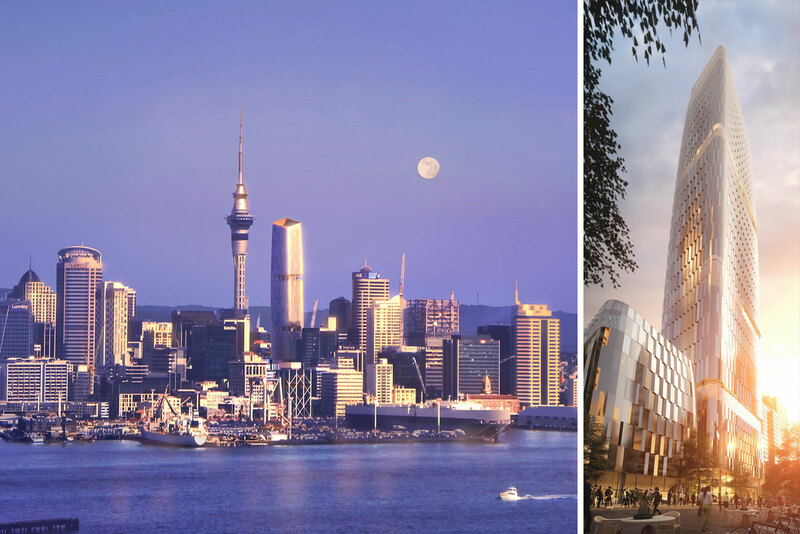 “It will also enhance the city’s skyline and importantly it’s all about a building that will reinforce Auckland as a global city,” Miglis said. ICD Property will announce the winning design in October.